I went to band camp. I'm no flautist, so we're okay there, but the five summers I spent at Encore/Coda, tucked away in the hamlet of Sweden, Maine, were some of the best times of my life. This one time, I had a counselor named Corey Bernhard, an unassuming badass on both the piano and the basketball court. Corey's quiet confidence preceded him - he was equally at home sinking jumper after jumper or taking kids to school in ensembles of any genre. It's no surprise, then, that his band, a joint effort with drummer and producer Steve McKie, exudes some those same qualities: Killiam Shakespeare's debut, out December 18th on Ropeadope Records, is flowing with nuance, texture and patience. I sat down with the pair to discuss their recording process, being comfortable in Philadelphia and the finer points of cheesesteakery. The duo has been making music for others for quite some time, as Corey recounts, "I met Steve playing in Bilal's band... for a good three to four years we were just traveling, touring - a lot. So, you know, you build a bond with people that you tour with. I started going down to Philly, hanging out with Steve in his studio." That studio, dubbed Pine by folks in the know, is Killiam Shakespeare's oasis, built from the ground up by McKie after going "straight to the league" post-high school in his native Philadelphia. "I learned being a fly on the wall in a studio with James Poyser and Ahmir Thompson," says McKie. "If you were there and have a passion for it, it just flows through you and is something you pick up naturally. After I graduated from high school, I'm looking up and I'm playing with Musiq [Soulchild], [Philly institution] Black Lily - it was a great time for music. I'm glad to have taken part." History deems this period "neo-soul," a movement that owned the limelight as the new millennium began, but most of its progenitors have stuck around, continuing to sprinkle this new brand of Philly soul across the globe. Studio Pine afforded Killiam Shakespeare the opportunity to be their own bosses and establish a relaxed yet productive work environment. "[It's] open - that's one of the cool parts about it," says McKie. "[We're] real particular on sounds and gear; able to focus all day, all night - we don't have any restrictions. That was a really cool place to have to make an album and just to make music, period. That's how me and Corey just hooked up and got close - through hanging out and making a bunch of music; watching the Celtics, Golden State Warriors." A Bostoner and lifelong Celts fan, Bernhard named the album's opener "Larry Bird" after one of the game's greats; on the closing end, the Mahavishnu-esque "Oakland" grew out of a soundcheck jam at Yoshi's deep in Raider Nation. The meat in the middle owes much to the band's touring and writing experience, and the duo's collective credits read like a '92 Dream Team of R&B: Jill Scott, Jazmine Sullivan, Kindred the Family Soul, Estelle, Talib Kweli, Curren$y, Snarky Puppy and Vivian Green have all gotten Shakespearean. As McKie says, "Coming from a band like Bilal we travelled and journeyed through so many different genres of music... you can hear so many different elements involved. Versatility is in our band like crazy." "We're always working our music, not necessarily knowing what it's gonna be for," adds Bernhard. "Once some of these songs started to get a vibe it's like 'Yo, we need this Killiam project.'" Rarely does one hear a debut album so seasoned, so balanced. This is a family affair, with Killiam affiliates adding personal touches on nearly all of Corey and Steve's compositions. Ebony Joi shines on "Stars," with Dwayne "DW" Wright's bass snaking around her intuition that "something tells me we can go far / far as the stars." If you ever wanted to know what Thrust-era Herbie Hancock would sound like with Stevie Wonder in the mix, check out "THICKMISS"; if you need that Soulquarian modal space-funk, "To Live and Die in the East" is your jam. Yet none of this is premeditated - more like Stockton and Malone, this energy is telegraphed between the bandleaders. "I might start off trying to emulate a vibe, but you can't copy a vibe," says Bernhard definitively. "Just create a vibe." McKie echoes this, adding, "Just experimenting with sounds and mics, once you get all that stuff together it paints the picture for you, creates whatever kind of vibe you're going for." While the umbrella vibe is soul music --often powerfully female with turns from Noel Scales on "I'm Down" and Jennah Bell on "Waste My Time"-- the production is enveloping, warm and makes for mandatory headphone listening to catch the tastefulness of percussionist Aaron Draper and guitarist Anthony DeCarlo. This communal atmosphere is reminiscent of another Philly band that has since migrated north to New York, and it's only logical to hear Killiam Shakespeare firmly grabbing the torch of Brotherly Love from The Roots. But it's also a product of the duo's musical philosophy. "You gotta embrace the movement," says Corey, referring to a greater musical universe instead of a focus on individualized success. It's a mentality shared with a producer who once said, "You can start out with the cast first and then find the script later," and although the sound of his classics is a mainstay at Pine, Killiam's leaders have differing views when it comes to outside influence. "I'm a firm believer in peeking your head out there and checking out what's going on, seeing what's current, but for the most part I like to keep my ideas fresh off the top of my head," says McKie, unabashed in support of his own voice. Bernhard, on the other hand, listened to "like, 90% trap music" during the recording process. "Well no... 80%. I listen to a lot of rap these days, because I feel like that's the genre where cats are taking risks and being creative. A lot of other genres are kind of stagnant right now. I went through a big Kanye West phase, like everybody..." This difference of opinion is also encouraged in the KS camp, and it breeds an eclectic palette that comes more from musical experience and community than outside sources. 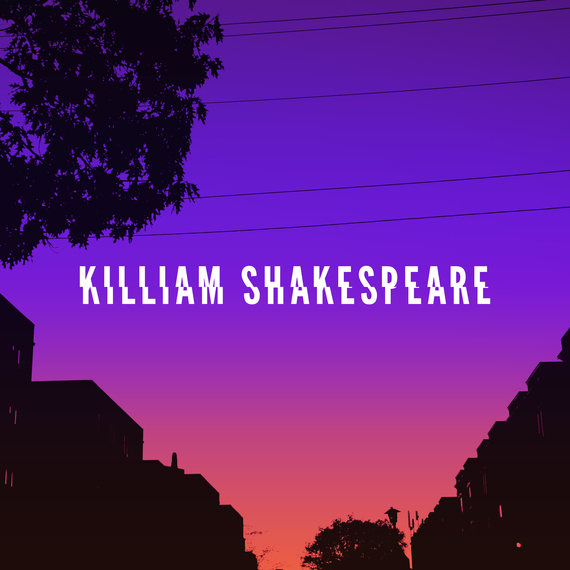 Killiam Shakespeare is a rare record for all seasons, and like 2015's much-heralded To Pimp A Butterfly, it is able to support a variety of moods. Terrace Martin, producer of the latter, told Complex in November, "People think music goes through your ears, but really it hits your spirit first, then your ears. With music, I gotta live with it. I gotta throw it in the car, drive to it, talk over it, eat to it, just have it in the background, not even think about it. I have to really live with the music and the artist before I really grasp it." Corey Bernhard and Steve McKie have created a livable debut, and they have no plans of slowing down. The agenda for the next few months includes a Christmas EP with Chris Turner (whose talents grace both "American Pie" and "21st Century"), a hometown release show, and 2016 touring along with a mixtape with Philly legend DJ Jazzy Jeff. And what did Corey learn at band camp? "I learned that I love music--actually I already knew that. It was so much fun, like, that's how music is supposed to feel. It wasn't like this environment where there was mad pressure, it was like, "Hey let's learn about music, let's jam, let's play some challenging stuff that's gonna make you grow, then let's go shoot hoops, eat ice cream..." With the help of his partner, he's carried that joyful atmosphere into adulthood, but McKie has made one swap: cheesesteaks for ice cream. "Pat's or Gino's?" I ask, recalling traipsing around South St. with my old bandmates. "Oh no! Neither." Steve is incensed, possibly offended. "Right off the top, there's Ishkabibble's, Jim's, Max's. I think those are like the top three. The science is - to take the chicken or the beef and you chop it up, but Pat's or Gino's, they take slabs of beef and it's like - what? That's crazy." Gauntlet thrown.